Although the land of Orange Mist was essentially a happy one, it was of poor means, with many a farmer starving or leaping to death depending on his terms with the money lenders of the land. The rains were cruel, and the neighbours stingy, as stingy with their waters as the moneylenders with their patience. But one thing that flowed in abundance were the spirits, and not really the good kind. All the wine of the world was said to have visited Romeo’s palace by the time he had wedded and bedded Juliet. Of course, Juliet hadn’t known the gravity of the problem until the Day of Beseeching. The day when the king and his friends missed the prayer to the Rain Gods because they were too hungover to attend. And it didn’t help that the rains were stingy that year. Many a farmer died or hastened his death in a bid to save his family with the money that Romeo usually shelled out as damage control. Things were not really going too well. And even Juliet wasn’t happy, not because of the farmer deaths, which was never too much of her concern. 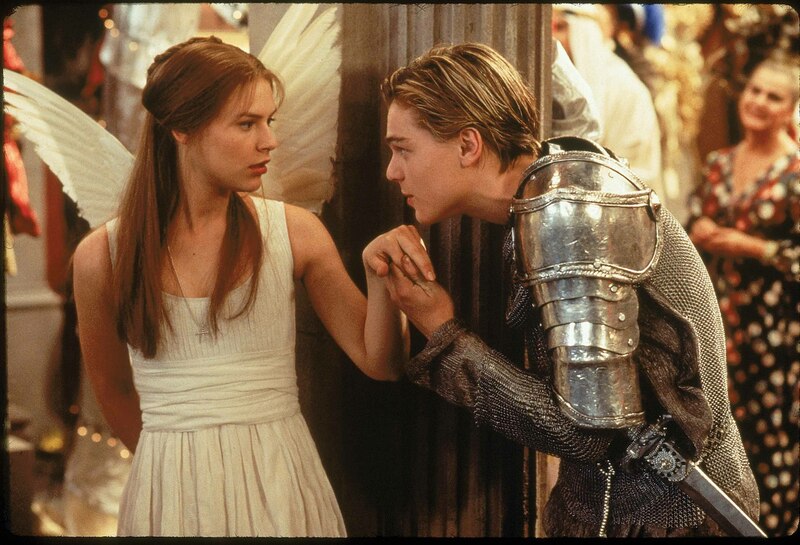 But the cause of Juliet’s unhappiness was mainly Romeo himself, and his general lack of theatrical romance that had so attracted her to him in the prenuptial phase. Neither did he lounge about her balcony waiting for a glimpse of her, nor did he attempt to court her at forbidden masquerade parties. Romeo could argue that he didn’t really need to do any of that, given that he had the joy of seeing her all the bloody time, but that argument wasn’t really winning any awards with Juliet. And this is a story essentially about Juliet. The heroine, who liked a little drama in her life, and the royal life was turning out to be quite disappointing, especially with the Montagues and the Capulets at drunken peace with each other. Around this time came along Shylock, a little dwarf, high born, and not very successful as nobility, mostly because of shortness of height, looks, and courage. And when Shylock is brought on board as Romeo’s adviser, he is quite disenchanted with his life and even his current job. There was very little advising to do, Romeo being occupied in more entertaining matters. Shylock mostly had to entertain Juliet in a platonic capacity, jokes, anecdotes and all. It kept Juliet happy, and off Romeo’s hair, so to speak, and hence Romeo happy, and by extension the land of Orange Mist happy, at least according to Romeo. Romeo informed Shylock that the happiness of the country was essentially in Shylock’s hand. So Shylock took Juliet on horse rides in the countryside, where they saw much of the country women, happier than Juliet, even if they were starving, and their children starving, scrawny, with eyes wide open, as if in permanent shock. They were simple folks. And asked for little from life. For the first time Juliet cried, not for herself and her petty troubles, but for her people, her country women, for their trials, for their courage, for the men that deserted them and their children when life was too harsh. Only Shylock was there to comfort and soothe her, and perhaps even understand her. Juliet felt she lived in a shell of her own petty problems. Of course she had fought for her love, decades ago. And her love now cared neither for her nor for his people. And so Shylock advises Juliet to take matters into her own hand. For what Shylock lacked in beauty he made up in wisdom. Under his advise, the magicians arrived. They beseeched the rain gods, and captured the rains that fell in giant tumblers that almost touched the sky. They bought whales that drank the sea water and created fountains of saltless water for the people of the land. They brought in magic seeds that grew into giant beans stalks, with beans to feed the village a million times over. The land grew truly happier. Juliet too. For she had Shylock, to listen to her troubles, her sorrows, her loneliness, to wipe her tears, and rub her shoulders. Juliet remembered a time with her Romeo, a younger time, a harder time, a happier time. But of course, that Romeo was no more, and in its place was a fat, ugly, lazy pig, that lived on empty promises to Juliet and the land of Orange Mist. Soon it was time for Shylock to leave. For his work here was done. The land had prospered under his advise. Of course, there was the matter of Juliet, who had given her heart to Shylock, by this time. And one night, when the moon stood high, and the breeze stuck cold, Juliet professed her love to Shylock in the garden, below the banyan tree, and begged him to take her with him, away from the castle, away from the land. Wherever, anywhere. Life would be unbearable without him. Shylock stepped back. The dwarf was shocked. Juliet was the queen, the wife of the king of the land. This could not be. He had not signed up for this. And he told the queen so. And queen watched shocked as Shylock left, her heart in pieces, for Romeo to gather. And gather Romeo did, Juliet’s heart, but Juliet was not in a mood to be gathered. She ran…out of the castle, out of the royal palace, and into the forest. The wild forest where the mist set deep into the Orange trees. Soon Juliet was lost. But she cared very little. Her heart was bleeding now. What had she done to deserve this? Hadn’t she served her people? Her pain was cruel. She walked, she ran, and soon her feet bled. She reached very soon, and quite predictably, into the arms of a witch, a witch who had quite a few thorns to pick with King Romeo, including being thrown into the forest for magic malpractice. And here was his precious Juliet, a willing lamb to slaughter. She took Juliet in, into her own godless castle, where unicorns lay bleeding in the larder. The witch, Lakme as her name was, was working on an eternal youth portion to stop her skin from sagging. Anti aging, she called it. She’d dumped a few unicorn hearts, and unborn babies into her heating cauldron, and all she wanted now was the heart of a young, queen, a heart in pain, a heart in love. And here was dear Juliet. Lost. With no one to save her. For that matter Juliet didn’t want to be saved. She was a willing lamb. Take my heart from me. Take it, she screamed to the witch, and quite literally too. For the heart was not doing a good job with her anyway. And so Juliet lay, her hands bound, her chest bare, Lakme’s greedy hand at the scalpel, for Juliet’s bleeding heart. And splice she did for a change, and pulled out the heart, ventricles and all, as Juliet screamed her final pain. But this isn’t a tragedy. Juliet doesn’t die. Nobody really saves her either. Lakme was also dabbing a bit in heart surgery, a small hobby on the side, and decides, for the pure fun of it, to fit Juliet with the heart of a unicorn, a spare piece, and a firm advise to do her own saving. “You wanna escape the damn castle, use your own damn dragons, lassy” was her exact words. Quite futuristic, if you ask me. Anyway, now that Juliet had the heart of a unicorn, she could still love, but not just Romeo or Shylock or some lame Prince or knight or simpleton…she could love the world, the land of Orange Mist, her people….and even herself. Just like she’d do her own damn saving, she’d do her own damn loving, she decides, and it turns out that there were many men in the land who would die for Juliets love, even though that made Juliet pissed again, all this men and their talk of dying, she put up with it, teaching them to love more and die a bit less. She sent Romeo to rehab, and gave him a few concubines, and built him a river of wine and sherry, and she got down to ruling the land, as Queen Juliet, the Queen of the prosperous land of Orange Mist, forever and ever. Like literally (See note below). Note: Just before teleporting herself to the future by a slight of hand and mind, Witch Lakme finally made it with the eternal youth potion, and sold it to Julie for her soul. Jus kidding, for loads of gold, souls are really overrated and have very anti-aging value. And Julie truly outlived Romeo and lived happily. For who needs a heart or a lover when you can look pretty forever. Dedicated to Michelle (5-year-old daughter of my dear friend Rashmi), who taught me to make fairy tales out of life in an hour of Bangalore traffic. Darling, I hope this fairy tale ending sets better expectations of love and life than I had. < Previous What Else Do You See? Next > Come on Sarah!